Jack Capon Villa is a 19 unit special needs housing community which allows adults with developmental disabilities to live independently with supportive services. 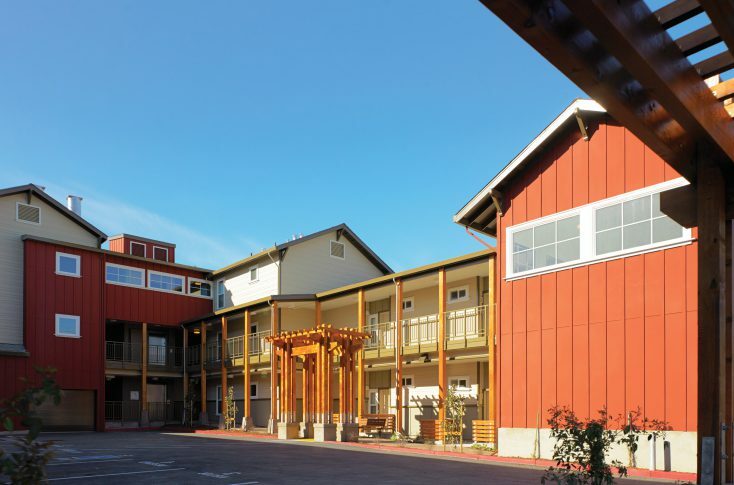 Located within two blocks of retail, community services and public transit, the building relates to the surrounding properties by incorporating residential architectural elements and having similar height and massing as the adjacent single and small multifamily buildings. 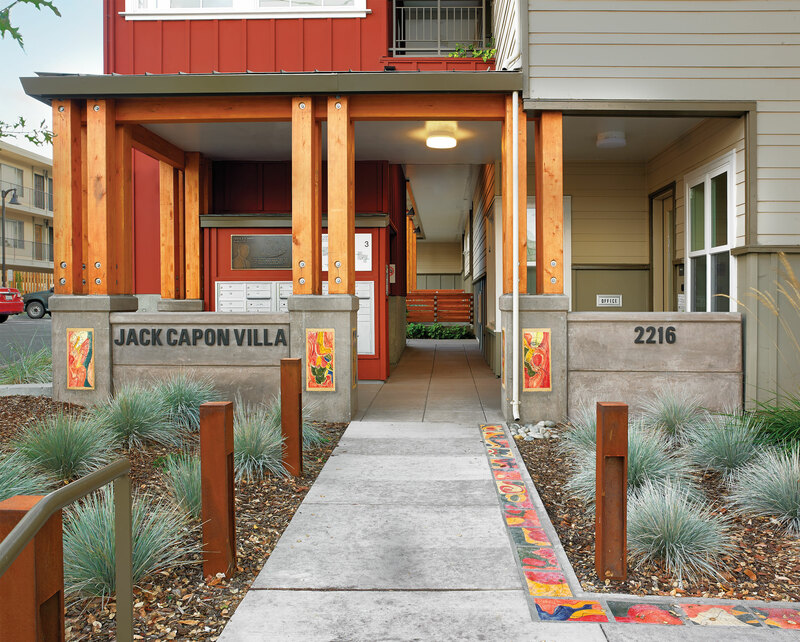 Jack Capon Villa has been sited to maximize opportunities for residents to interact with the surrounding neighborhood and open spaces. A seat wall under a covered porch area allows residents to view the comings and goings from the property, as well as to observe activities of their neighborhood. Lush and attractive landscaping in the front yard is visible to the passersby, while the interior backyard is for residents’ private use. 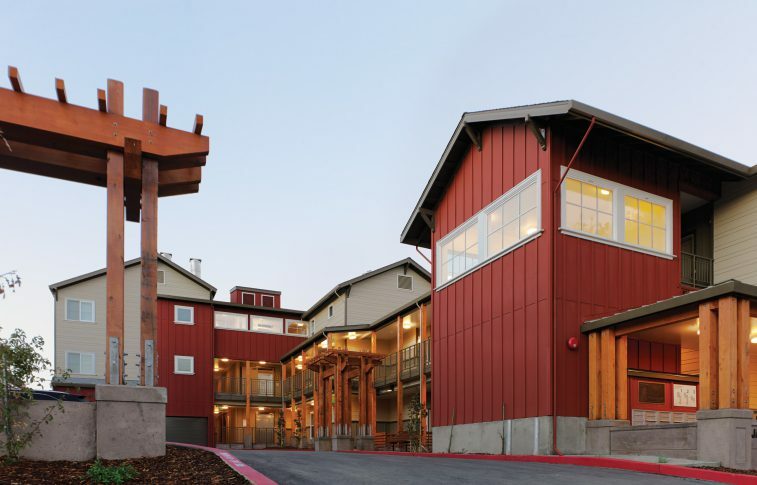 The west edge of the building meanders to preserve an existing mature Oak Tree. 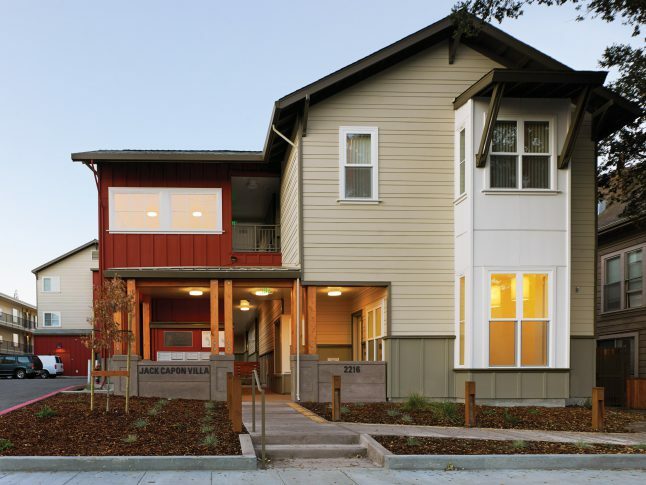 The development has been recognized for outstanding achievement in green home construction with Green Point Rated and Bay Friendly Landscape Certifications. 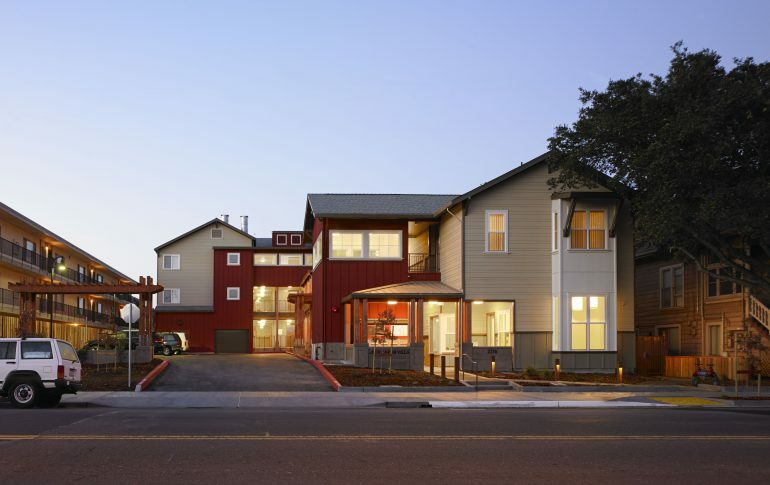 Some of the environmentally friendly features include solar hot water heating, recycled content carpeting, linoleum flooring, Energy Star Appliances, high-efficacy lighting, and motion sensors at common areas. Jack Capon Villa provides an affordable, supportive environment for people with developmental disabilities to live comfortably and receive the assistance they need.